The Fellowes Ultimate Back Support helps to reduce tension associated with extended desk work with a two-tiered back support system. 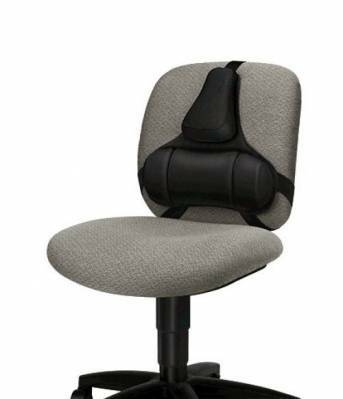 A mid spinal support with memory foam cushion promotes good posture and a lower lumbar support with three memory foam sections conforms comfortably to the body's natural curvature. 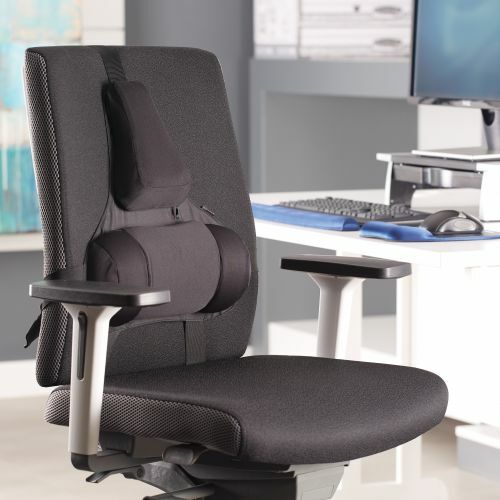 Suitable for use on most chairs, this black back support also features a unique Tri-Tachment for a fixed position without the need to re-adjust.